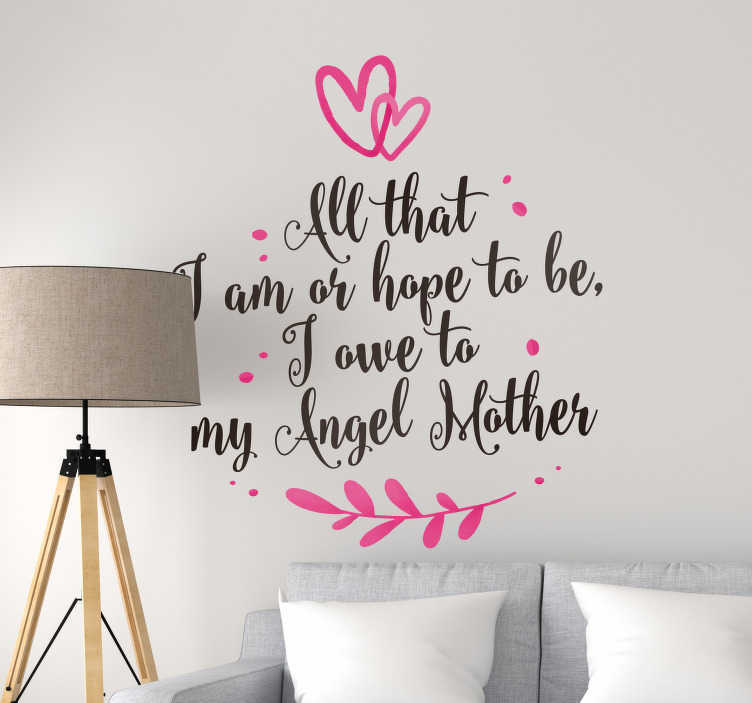 ´All that I am or hope to be, I owe to my angel mother.´ If Abraham Lincoln owes everything to his mother, then don´t we all? That is why we have put a quote from the great man on a wall text sticker! Perfect family themed decor for those who wish to remind themselves to always be thankful!